Rudolf Carnap (May 18, 1891 – September 14, 1970) was an influential philosopher who was active in central Europe before 1935 and in the United States thereafter. He was a leading member of the Vienna Circle and probably the most important advocate for logical positivism and the program of the Vienna Circle, at least in the United States. Carnap wrote an enormous amount, and he (and Carl Hempel) did more to work out the details of the logical positivist program and thereby promote that program in America and elsewhere than anyone else. Harvard philosopher and logician Willard Quine wrote, "Carnap is a towering figure. I see him as the dominant figure in philosophy from the 1930s onward, as Russell had been in the decades before...Some philosophers would assign this role rather to Wittgenstein, but many see the scene as I do." Hempel wrote, "Carnap's ingenious and illuminating methods of logical analysis and reconstruction, and the example he has set in his own work of rigorous but openminded and undogmatic philosophical inquiry, have provided a powerful stimulus for a precise analytic approach to philosophical problems" (Qtd. in George 1967, back cover). Carnap was born in Ronsdorf, Germany into a north German family that had been humble until his parents' generation. He began his formal education at the Barmen Gymnasium. From 1910 to 1914, he attended the University of Jena, intending to write a thesis in physics. But he also carefully studied Immanuel Kant's Critique of Pure Reason in a course taught by Bruno Bauch, and took Gottlob Frege's courses in mathematical logic in 1910, 1913, and 1914; he was one of very few students to do so. After serving in the German Army for three years during World War I, he was given permission to study physics at the University of Berlin in 1917-1918, where Albert Einstein was a newly appointed professor. Carnap then attended the University of Freiburg, where he wrote a thesis setting out an axiomatic theory of space and time. The physics department said it was too philosophical, and Bauch of the philosophy department said it was pure physics. Carnap then wrote another thesis, under Bauch's supervision, on the theory of space from a more orthodox Kantian point of view, published as "Der Raum: Ein Beitrag zur Wissenschaftslehre" (Carnap 1922). In 1921, Carnap wrote a fateful letter to Bertrand Russell, who responded by copying out by hand long passages from his Principia Mathematica for Carnap's benefit, as neither Carnap nor Freiburg could afford a copy of this epochal work. In 1924 and 1925 he attended seminars led by Edmund Husserl, the founder of phenomenology, and continued to write on physics from a logical positivist perspective. Carnap discovered a kindred spirit when he met Hans Reichenbach at a 1923 conference. Reichenbach introduced Carnap to Moritz Schlick, a professor at the University of Vienna, who offered Carnap a position in his department, which Carnap took up in 1926. Carnap thereupon joined an informal group of Viennese intellectuals that came to be called the Vienna Circle, led by Schlick and including Hans Hahn, Friedrich Waismann, Otto Neurath, and Herbert Feigl, with occasional appearances by Hahn's student Kurt Gödel. When Wittgenstein visited Vienna, Carnap would meet with him. He (with Hahn and Neurath) wrote the 1929 manifesto of the Vienna Circle, and (with Reichenbach) founded the philosophy journal Erkenntniss. In 1928, Carnap published two important books. In The Logical Structure of the World, he developed a rigorous formal version of empiricism, defining all scientific terms in phenomenalistic terms. The formal system of the Aufbau, as this book is often called by virtue of the central word of its German title Der Logische Aufbau der Welt, was grounded in a single primitive dyadic predicate, which is satisfied if two individuals "resemble" each other. The Aufbau was greatly influenced by Principia Mathematica, and warrants comparison with the process metaphysics Alfred North Whitehead developed over 1916-1929. It appears, however, that Carnap soon became somewhat disenchanted with this book—he did not authorize an English translation until 1967. His second important work of 1928, Pseudoproblems in Philosophy, asserted that many philosophical questions were meaningless, i.e., the way they were posed amounted to an abuse of language. An operational implication of this radical stance was taken to be the elimination of metaphysics from responsible human discourse. This is the notorious position for which Carnap was best known for many years. In February 1930 Alfred Tarski lectured in Vienna, and in November 1930 Carnap visited Warsaw. On these occasions he learned much about Tarski's model theoretic approach to semantics. In 1931, Carnap was appointed professor at the German language University of Prague. There he wrote the book that was to make him the most famous logical positivist and member of the Vienna Circle, his Logical Syntax of Language (Carnap 1934). In 1933, Willard Quine met Carnap in Prague and discussed the latter's work at some length. Thus began the lifelong mutual respect these two men shared, one that survived Quine's eventual forceful disagreements with a number of Carnap's philosophical conclusions. Carnap, under no illusions about what the Third Reich was about to unleash on Europe, and whose socialist and pacifist convictions made him a marked man, emigrated to the United States in 1935 and became a naturalized citizen in 1941. Meanwhile, back in Vienna, Schlick was assassinated in 1936. From 1936 to 1952, Carnap was a professor of philosophy at the University of Chicago. Thanks in part to Quine's good offices, Carnap spent the years 1939-1941 at Harvard, where he was reunited with Tarski. Carnap (1963) later expressed some irritation about his time at Chicago, where he and Charles W. Morris were the only members of the department committed to the primacy of science and logic (their Chicago colleagues included Richard McKeon, Mortimer Adler, Charles Hartshorne, and Manley Thompson). Carnap's years at Chicago were nonetheless highly productive ones. He wrote books on semantics (Carnap 1942, 1943, 1956), modal logic, coming very close in Carnap (1956) to the now-standard possible worlds semantics for that logic Saul Kripke proposed starting in 1959, and on the philosophical foundations of probability and induction (Carnap 1950, 1952). After a stint at the Institute for Advanced Study at Princeton, he joined the philosophy department at UCLA in 1954, Reichenbach having died the previous year. Carnap had earlier declined an offer of a similar position at the University of California because taking up that position required that he sign a McCarthy-era loyalty oath, a practice to which he was opposed on principle. While at UCLA, he wrote on scientific knowledge, the analytic–synthetic dichotomy, and the verification principle. His writings on thermodynamics and on the foundations of probability and induction, were published posthumously as Carnap (1971, 1977, 1980). Carnap taught himself Esperanto when he was a mere 14 years of age, and remained very sympathetic to it (Carnap 1963). He later attended a World Congress of Esperanto and employed the language while traveling. Carnap had four children by his first marriage, which ended in divorce in 1929. His second wife committed suicide in 1964. He died on September 14, 1970, in Santa Monica, California. For Carnap, and the logical positivists in general, the distinction between observational and theoretical terms was central and crucial. In Philosophical Foundations of Physics (1966), Carnap based this difference on a distinction between empirical and theoretical laws. An empirical law, he claimed, deals with things that can be observed or measured. Such a law can be confirmed by direct observation. A theoretical law, however, deals with things that we cannot observe or measure, but that we can only infer from observation; it cannot be confirmed or justified by observation. It is a hypothesis that reaches beyond direct experience. In many cases the distinction is clear, but Carnap had to admit that it is sometimes arbitrary. German philosopher Immanuel Kant had made a distinction between analytic and synthetic statements and a priori and a posteriori ones. This made possible a fourfold classification of statements: analytic and synthetic a priori, and analytic and synthetic a posteriori. Everyone agreed that all analytic statements are a priori, so the analytic a posteriori category is empty. But what about synthetic a priori statements—statements that say something new about the world in that the predicate is not merely "contained in" the subject, but are also known before or apart from experience? Kant claimed that this is not an empty category, and he gave some mathematical and philosophical statements as examples. But the logical empiricists claimed that there are no such statements; that there are only two kinds of statements, the analytic a priori ones and the synthetic a posteriori ones. Much of Carnap's work was based on this conviction and his subsequent attempt to distinguish precisely between analytic and synthetic statements—a conviction and program that was central to all the logical positivists or logical empiricists, but that was rejected in Quine's seminal essay, Two Dogmas of Empiricism (1951). In the Aufbau (1928), Carnap used a methodology he called constitution (or construction) theory. The main concept is reducibility, by which a concept x can be reducible to a set of concepts y if every sentence of x can be reformulated into sentences concerning concepts belonging to y, with the truth values preserved. Carnap's goal or intention was to put all known or knowable objects into such a constitution system. He thought that there are four main types of known objects: social-cultural ones, other minds, physical objects, and one's own private experiences. He did not think that he was giving an actual description of the process of concept formation, but rather a logical reconstruction of it. Finally, Carnap's view was that metaphysics has nothing to do with science—he was concerned to eliminate all metaphysics because he regarded it as being meaningless. In The Logical Syntax of Language (1934), Carnap attempted to develop a formal language in which mathematics and scientific theories could be expressed. In the article "Testability and Meaning" (1936) Carnap introduced semantic concepts. A statement is analytic if and only if it is logically true. It is self contradictory if and only if it is logically false. In all other cases the statement is synthetic. In his book Meaning and Necessity (1947) Carnap introduced the notions of L-true and L-false. A statement is L-true, he held, if its truth depends on semantic rules, and it is L-false if its negation is L-true. Analytic statements are L-determined, meaning that they are L-true or L-false; synthetic statements are not L-determined. In the Aufbau, Carnap had claimed that a statement is meaningful only if every non-logical term in it is definable in phenomenalistic language. Later, however, he realized that this is untenable, so he switched to an objective language as his basic language. 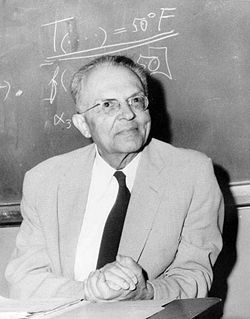 When he turned to consider probability statements, Carnap worked to give an account of probability as a degree of confirmation, so that p(h,e), read as "the probability of hypothesis h on the evidence e," is a logical relation between the statement and the evidence for it. Inductive logic, then, Carnap held, would give us a way of ascertaining mathematically the reliability of a hypothesis. But Carnap was not successful in this effort because in Carnap's inductive logic the degree of confirmation of every universal hypothesis is always zero. Carnap also worked on the philosophy of physics, both in his doctoral dissertation, Der Raum (1922), and in his book Philosophical Foundations of Physics (ed. Martin Gardner, 1966). According to Carnap there are three kinds of theories of space: Formal space, which is analytic a priori, physical space, which is synthetic a posteriori, and intuitive space, which is synthetic a priori. Physical space is the subject of natural science. In the later work Carnap accepted and used Hempel's covering law theory of scientific explanation in both its general and its probabilistic forms. From about December 1932 to July 1970, a month before Carnap's death, Carnap and Quine carried on a long and philosophically fruitful correspondence. Quine was the younger man and first dealt with Carnap as his teacher, but the two became strong friends and remained so until the end of Carnap's life—they soon came to address one another as "Dear Carnap," because Carnap did not like his first name, and "Dear Van," as Quine was known to his friends—even though Quine eventually came to reject central points of Carnap's view, especially Carnap's notion of analyticity. Moreover, after Carnap's death Quine continued to speak and write favorably about him, writing a memorial "Homage to Rudolf Carnap" in 1970. The central disagreement between Carnap and Quine was over analyticity—a term in technical philosophy—and has to do with the problem in epistemology of how we can justify our beliefs. Carnap tried to use the principle of verificationsim, coupled with an anitmetaphysical stance, to avoid reliance on intuition. Instead Carnap proposed that basic beliefs—the things that had been regarded as relying on intuitions—should be regarded as definitions. Reliance on intuitions implies or at least suggests that there is a realm of truths beyond and independent of ourselves to which we somehow gain access through intuition; the problem has always been that we cannot show that these intuitions are accurate. Carnap's proposal was that these basic claims or beliefs are something we make ourselves, so no question can arise about whether they are "true" or "veridical." "One consequence of Carnap's theory is that the basic metaphysical commitments, logical rules, epistemic principles, and so on are language-dependent, that is, that they depend on what definitions are chosen. If you choose differently from me, we do not thereby disagree; we merely speak different languages" (Creath 1990, 7). Languages, of course, are neither true nor false; the only criterion is that some may be more convenient than others. According to Carnap's view, basic claims and their logical consequences are true because of their meanings, and the basic claims can be known through an analysis of the meanings of the terms in them. Those claims that are true in virtue of their meanings are analytic according to Carnap. Quine, a younger man than Carnap—but one who possessed at least as strong logical and analytic skills as Carnap—did not object to Carnap's view because he wanted to defend the philosophical systems that Carnap undermined, and he was in favor of Carnap's tie-in between logic and philosophy. Quine's final objection to Carnap's method was based on Quine's conclusion that the idea or analyticity is unintelligible, so the supposed distinction between analytic and synthetic statements cannot be upheld. Quine offered three arguments for his view. First, no one has succeeded in clarifying the notion of analyticity. Second, constructed languages such as those Carnap produced do not clarify the notion of analyticity. All Carnap did was define analyticity in L, but that does not clarify or define the term 'analytic.' Third, in science and elsewhere, we are able and willing to modify anything, even our basic notions of analytic logic, if there are good (pragmatic) reasons for doing so. Thus the supposed distinction between what is known analytically and what is known synthetically breaks down. From about the beginning of the twentieth century, with the logical work of Frege and then Whitehead and Russell, and especially with the formation and rise to prominence of the Vienna Circle, there was a great deal of hope and expectation among a group of philosophers that developments in formal logic and formal languages, making things clear through a process of philosophical explication and clarification, would result in putting philosophy on a scientific-logical footing and would enable it to dispense with and supercede its received tradition of lack of clarity, slipperiness of meaning, metaphysical mumbo-jumbo, and mysterious and suspect intuitions and other ill-defined and even more ill-understood concepts and methods. Carnap sometimes used statements from Martin Heidegger as objects of his mirth and scorn. Carnap's work can be understood as taking up and championing the formalist, logical positivist approach and going and attempting, more than any other predecessor, to carry it through. Although many other philosophers also participated with him or followed in his wake, Carnap has frequently been called and/or understood to be the most outstanding or paramount logical positivist. His attitude, approach, and aims held sway in one branch of Western philosophy until about the beginning of the 1960s. Beginning before World War II, however, and coming to a head in the 1950s and 1960s, increasing attacks on the program and goals of the logical positivists came to be produced. By 1967 John Passmore could write that "Logical positivism is dead, or as dead as a philosophical movement ever becomes" (Edwards, vol. 5, 56). Quine's essay "Two Dogmas of Empiricism," with its attacks on the supposed analytic-synthetic distinction and on reductionism or, as Quine put it, "the belief that each meaningful statement is equivalent to some logical construct upon terms which refer to immediate experience," was one of the seminal pieces that contributed to bringing about that death (see Vienna Circle and logical positivism). Other objections have been raised against Carnap's method and achievement. One is that the formalized, supposedly precise language(s) constructed by Carnap and his ilk are so desiccated, constricted, and constrained that almost nothing—including the real natural sciences—can be expressed in them. Another objection is that making a formalized or constructed language ('L' in Carnap's work) requires the use of another language, a natural language such as English or German or French, as the medium and means for constructing L. L is often called the object language, and the language used to construct L, the natural language such as English or German, is often called the metalanguage. The problem here is that even if you can exclude the philosophical problems or issues or confusion or controversies from the object language, they are always there in the metalanguage, and can be solved or bypassed only by the fiat of whoever is constructing L. So it is not clear that there is really any great utility to constructing L, except that L may not have those problems, and it is sometimes possible to show that some part of L is false, based on the adopted axioms or on the principles used to construct L. But what has been gained through the huge work of explication and formal language construction? Critics of Carnap tend to say that there is little or no gain—a huge amount of work has occurred with no real payoff. Today, with logical positivism in near-total eclipse, Carnap's work is also more-or-less unread and unknown by most younger philosophers who have grown up in the post-positivist years after about 1970. 1922. Der Raum: Ein Beitrag zur Wissenschaftslehre, Kant-Studien, Ergänzungshefte, no. 56. Ph.D. thesis. 1929. Abriss der Logistik, mit besonderer Berücksichtigung der Relationstheorie und ihrer Anwendungen. Vienna: Springer. 1934. Logische Syntax der Sprache. English translation, The Logical Syntax of Language. London: Kegan Paul, 1937. 1935. Philosophy and Logical Syntax. London: Kegan Paul. 1936. "Testability and Meaning," in Philosophy of Science 3 (1936) and 4 (1937). 1938. "Logical Foundations of the Unity of Science," in International Encyclopaedia of Unified Science, vol. I n. 1. Chicago: University of Chicago Press. 1939. Foundations of Logic and Mathematics in International Encyclopedia of Unified Science, Vol. I, no. 3, Chicago: University of Chicago Press. 1942. Introduction to Semantics. Cambridge, MA: Harvard University Press. 1943. Formalization of Logic. Cambridge, MA: Harvard University Press. 1947. Meaning and Necessity: A Study in Semantics and Modal Logic. Chicago: University of Chicago Press. 1950. "Empiricism, Semantics, Ontology." Revue Internationale de Philosophie 4: 20-40. 1952. The Continuum of Inductive Methods. Chicago: University of Chicago Press. 1958. Introduction to Symbolic Logic with Applications. New York: Dover. 1963, "Intellectual Autobiography," and "Replies and Systematic Expositions," in Schilpp (1-84; 859-1013). 1966. Philosophical Foundations of Physics, ed. Martin Gardner. New York: Basic Books. 1971. Studies in inductive logic and probability, Vol. 1. Berkeley: University of California Press. 1977. Two Essays on Entropy, ed. Abner Shimony. Berkeley: University of California Press. 1980. Studies in inductive logic and probability, Vol. 2, ed. R. C. Jeffrey. Berkeley: University of California Press. 1990. Dear Carnap, Dear Van: The Quine-Carnap Correspondence and Related Work, ed. and intro. Richard Creath. Berkeley: Universiy of California Press. Edwards, Paul. 1967. The Encyclopedia of Philosophy, 8 vols. New York & London: Macmillan and Co. Essential for Carnap's "Autobiography," and his "Replies and Systematic Expositions," in response to his critics. Also contains a thorough bibliography of Carnap's writings to 1961, as well as a list of works to appear. This page was last modified on 10 April 2013, at 13:44.